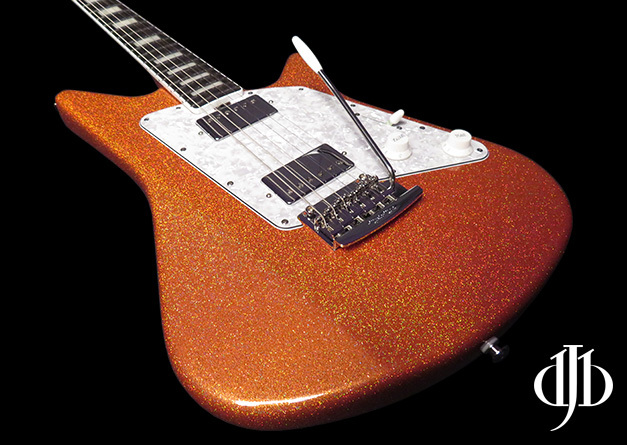 Welcome to Day 2 of my annual New Year’s New Guitar Days (NYNGD)! Hi all! Thanks for the kind words and comments on yesterday’s NYNGD #2018-1! 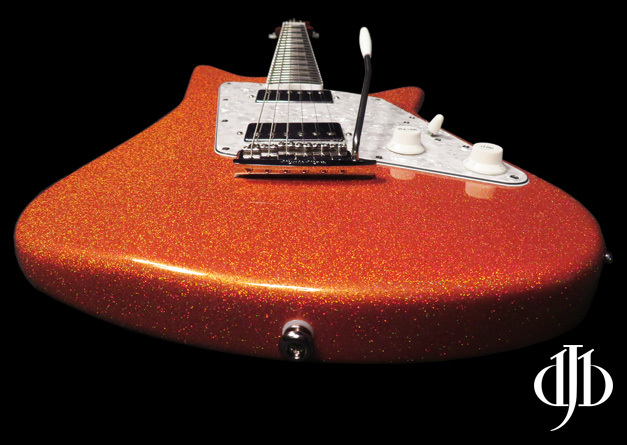 If you’re not familiar or didn’t stop by yesterday, here’s what this is all about: Every year, I am a slacker about keeping my Guitar Gallery up to date… So, as a fun holiday thing, let’s launch a guitar in the Guitar Gallery each day as we ring in 2019! Standard caveat: In the past I’ve received PM’s about my collection and whether I play all of these guitars. My answer is here! Alright… shut the heck up Jeff and let’s get going with the next guitar! 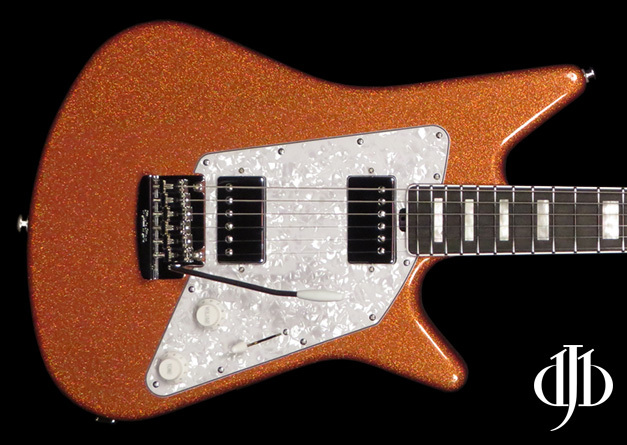 Today’s guitar is just stunning — an Albert Lee BFR in Orange Crush Sparkle #57/75 from the August 2018 BFR run. 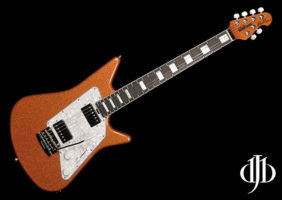 Part of a limited 75 piece run, this guitar is pretty awesome. 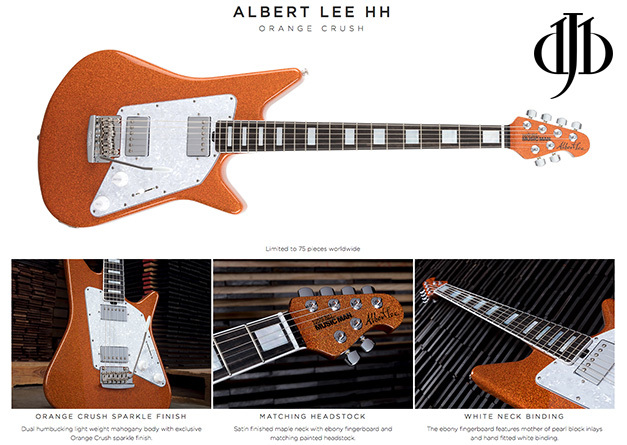 It enhances a stock Albert Lee HH by adding a matching headstock, roasted maple neck, ebony fingerbord with white binding, and mother of pearl block inlays. 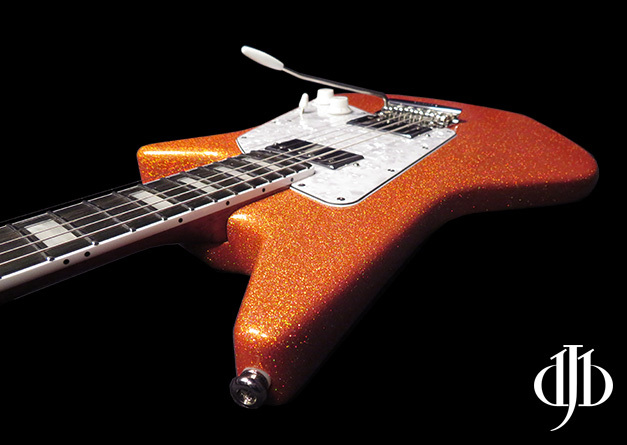 As if all that special goodness wasn’t enough — holy moly the Orange Crush finish is out of this world. I have to admit, I always saw Albert as an English country gentleman. More reserved, laid back, chill. 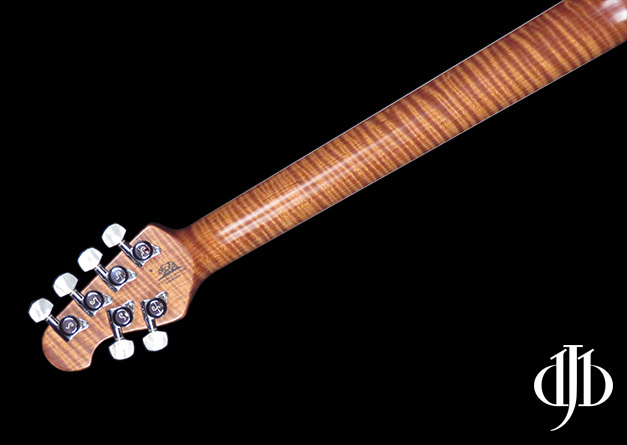 Man, this finish is ANYTHING but reserved, laid back, and chill. 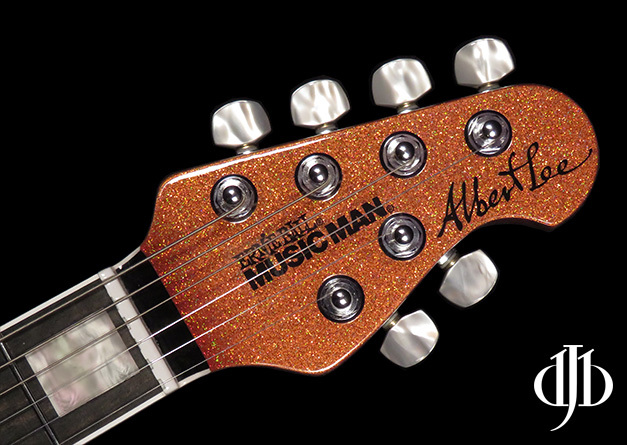 I am blown away that EBMM got Albert to approve this finish. But, who knows, maybe my perceptions of the man are founded on nonsense and maybe he is as crazy as this finish! 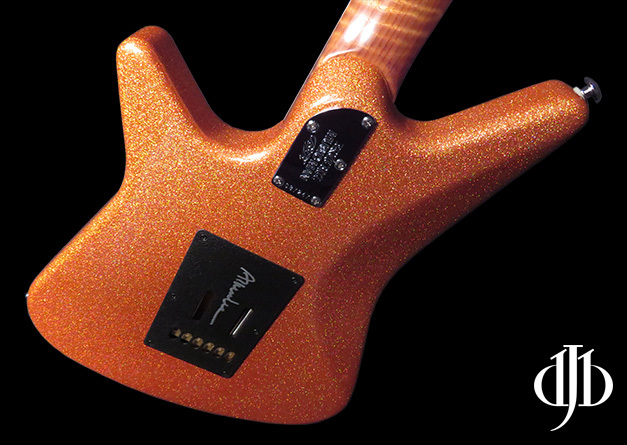 To be very clear, this finish is super hard to capture in a photo and all these shots don’t do it justice. 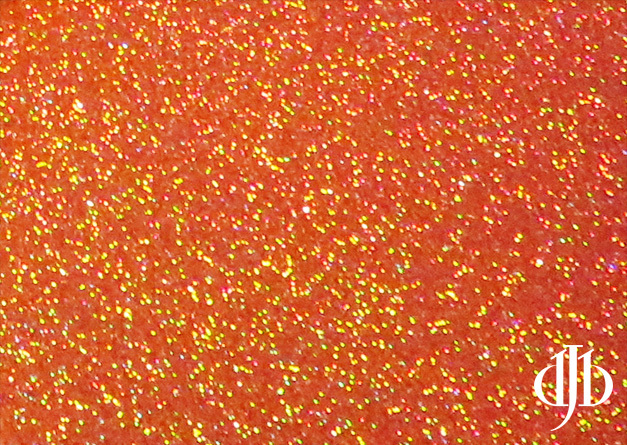 There are green flakes (Dargie-ish), orange flakes, red flakes. And it seems to vary in different light — sometimes it’s a warm orange, and sometimes it’s light orange. Just awesome. 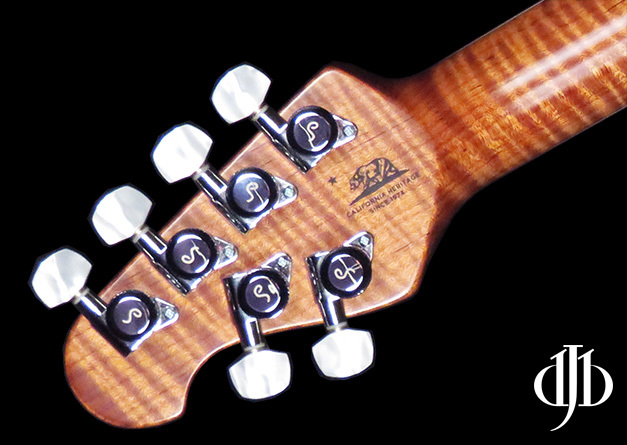 This particular guitar sounds great and is very loud unplugged. 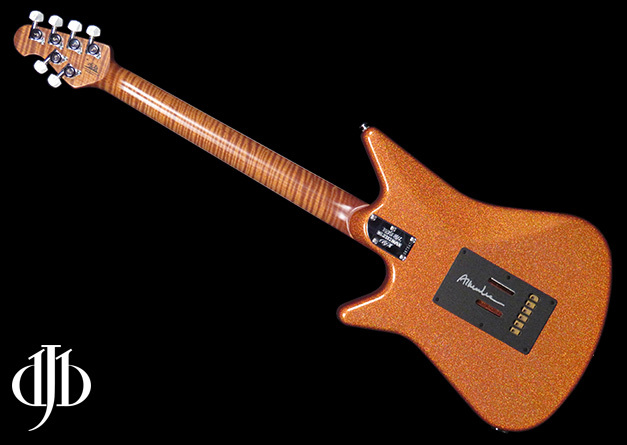 I am not used to the vintage trem sitting flat on the body — the pulled-forward float on a Luke III has spoiled me. I might give it a try setting this up like an LIII.